Working on a little project and it involves OTTBs! I'm looking for a list or even just a handful of famous/well-known racehorses who ended up going onto something else after racing (that isn't, obviously, breeding). I suspect this will be almost exclusively geldings, but a cursory Google didn't bring up a large list. I'm open to anything -- track ponies aren't exactly what I'm looking for, but I'm still interested to know! Same with second career ambassadors like Cigar and JohnHenry at KHP. 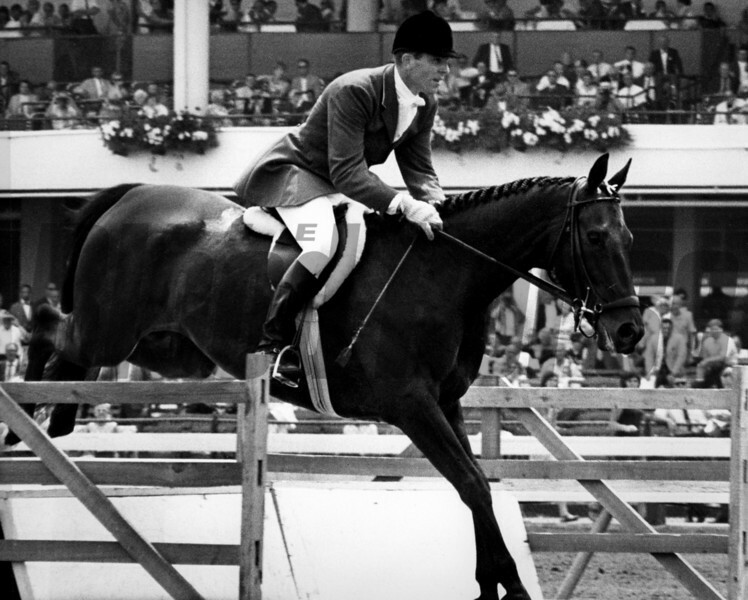 The holy grail though would be horses like Kelso, who went on to a hunter-jumper career, or a horse like Scrappy T whose second career owner shared pics of him under saddle here a few years ago. "Well known" doesn't need to mean MGSW or anything, but horses with notoriety outside of a hardened track veteran. Scrappy T, again, is a good example. Icabad Crane has been retrained by Olympian Phillip Dutton as a successful event horse and is now being competed by his daughter Olivia. He was third in Preakness awhile back and won over 600k. More on Icabad Crane Facebook page. Last edited by Squeaky on Fri Jul 28, 2017 10:21 am, edited 1 time in total. The list is actually very long, in the thousands. W/out a database would take years to list. You may want to narrow your project to more specificity, like "horses who ran in the KY Derby" or something. You might contact the Retired Racehorse Training Project (RRTP). I know they keep some records. Also, New Vocations Racehorse Adoption Program , the Paddock Foundation, and Thoroughbred Aftercare Alliance (TAA). A list that would also bring more consciousness to people would be a list of ex racehorses who are found in kill pens, and rescued, like Clever Allemont. There are more than you would think. Squeaky wrote: Icabad Crane has been retrained by Olympian Phillip Dutton as a successful event horse and is now being competed by his daughter Olivia. He was third in Preakness awhile back and won over 600k. More on Icabad Crane Facebook page. MySaladDays wrote: The list is actually very long, in the thousands. W/out a database would take years to list. Thanks for your thoughts! I don't need a comprehensive list for this project -- just a robust/interesting one. Horses people would go, "ohh!" And want to know more about. The Icabad Cranes and Mr. Hot Stuffs of the world...for example, I'm not familiar with Exploring, and I'm guessing most non-racing fans would be even less so. I know New Vocations, Steuart Pittman, et al probably keep records on their own horses, but I already have plans for reaching out to these organizations. Thanks for the suggestion, though! I spend most of my time working for and with OTTBs in an aftercare organization, so I'm painfully aware of how many OTTBs end up in dire straights and in kill pens. That's a very worthwhile project indeed, and a huge focus of my day-to-day. Blazing Colors Farm, a Canadian outfit that breeds colorful TB sporthorses, recently picked up an OTTB from a kill pen who was just in awful condition. They recently took him to his first show and he looks like a million bucks. They have a pretty strong following, so it's great to see them raising awareness even in a for-profit situation. 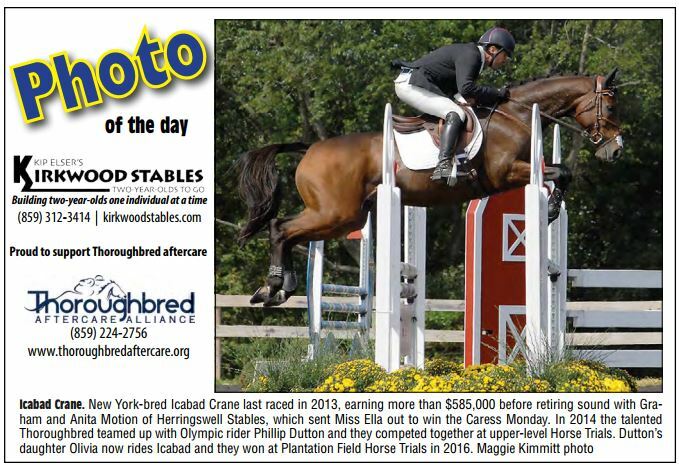 In the Saratoga Special, they have a Photo of the Day feature that highlights retired racehorses that have went on to other careers. TouchOfGrey wrote: In the Saratoga Special, they have a Photo of the Day feature that highlights retired racehorses that have went on to other careers. Oh! This is a lovely feature. Thanks for sharing! I'm gonna go peek every day. I believe Kelso had a long career in Dressage? There was a multiple G1 winner back in the '70's named Stardust Mel who had a very accomplished career as a jumper. He ended up with Sandy Hawley's ex-wife. I think my own Border Run had some show experience as he's as steady as they come under English tack but I've never been able to confirm that. He was a gorgeous boy, always on the cover of my horse mags when I was a younger girl. ETA: And apparently Jet Run started 7 times too before his magnificent show jumping career. Last edited by lurkey mclurker on Fri Jul 28, 2017 4:55 pm, edited 1 time in total. Songster is now a stable pony for Albertrani, after some other stops in between. mariasmon wrote: Songster is now a stable pony for Albertrani, after some other stops in between. The closest thread we have for these kinds of postings is Whatever Happened To? > Random Retiree News. If you haven't already, you may want to scroll through it and see what's there. I post a lot there when I think the horse may have fans on TBC, but not everything I hear about OTTBs in second careers. There really are a lot of these ex-racers, and "well-known" is somewhat subjective. For example, I recently heard about the Eventing career of a very successful former MSW Washington bred gelding, named Margo's Gift. He won just about every 2 year old stakes at Emerald Downs in 2007, as well as the Favorite Trick Breeders' Cup S. at Monmouth. He earned $356,507 in a 28-9-3-4 race record and was very well-know in my corner of the country. He retired in 2011 and is now owned by a former Washington resident who has moved east to continue their Eventing careers. Britt Roden is on Facebook and posts picture of them competing. Last edited by Starine on Sat Jul 29, 2017 8:43 am, edited 1 time in total. Didn't Points Offthebench suffer a fatal breakdown in a pre-BC work? Very good interesting thread. Appreciated. mariasmon wrote: Didn't Points Offthebench suffer a fatal breakdown in a pre-BC work? He did. Greyhorse must have been thinking of someone else. Now I'm curious who she meant. And someone in that OTTB group on FB owns Spa City Fever--forget what her name is.